This invite is a classic tri fold. The front cover has a custom logo. 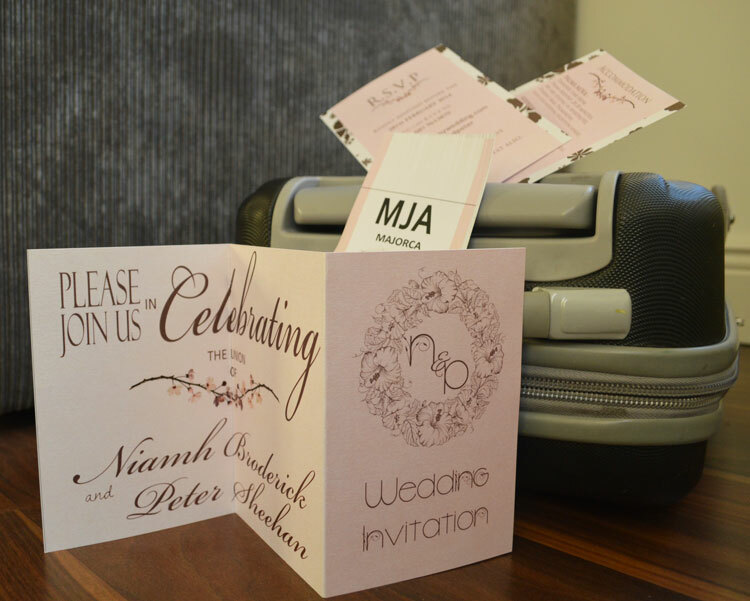 The remaining folds allow the couple to create unique invite for their guest. This invite is another variation of the cartoon invite. It comes with a perforated RSVP as the back cover.